This Institution is for students who want high success in CBSE / ICSE / JEE / NEET exams . We ensure 100% guarantee result in respective boards if students are willing to hard work . 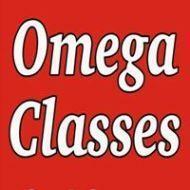 Omega classes conducts classes in Class 10 Tuition, Class 11 Tuition and Class 12 Tuition. It is located in Azadpur, Delhi. It takes Regular Classes- at the Institute.